A quick update from the NSMBA executive and trail team. This week the District of North Vancouver trail crew have been working in the area of Pink Starfish, Jerry Rig, Air Supply and other areas on Fromme. 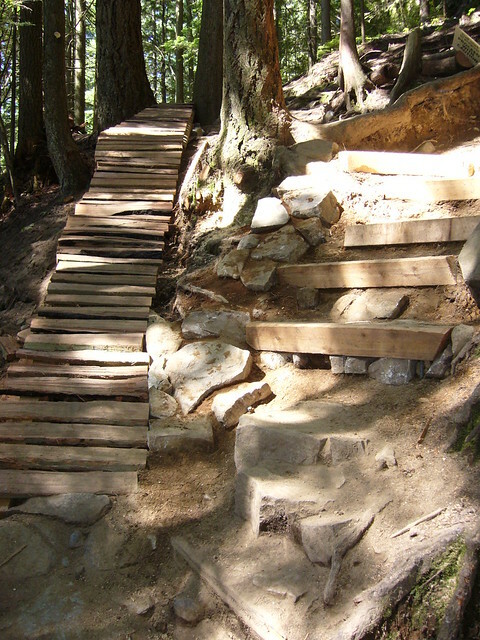 If you have been riding on Fromme early this week you may have noticed new signage and work going on in these areas. We are releasing this information to bring all riders and NSMBA members up to date regarding the latest news on Fromme. PINK STARFISH- The DNV has placed a temporary closed sign at the top of Pink Starfish. The closure is temporary and is not a sign of decommissioning. The NSMBA is fully involved in the consultation and re-opening of Pink Starfish. Presently, this consultation is ongoing and therefore a timeline will be forthcoming when complete. JERRY RIG- The DNV has placed a closed sign at the entrance of Jerry Rig. Much of this trail has fallen into disrepair and is now a trail that sees very little traffic given its current state. Due to the structural instability of the technical trail features, the DNV will be making the trail un-rideable due to safety concerns. There are some very exciting plans in the works for the rejuvenation of the Jerry Rig line. The NSMBA will be working with the district in the development of an updated version of Jerry Rig that advanced riders will be stoked about. AIR SUPPLY- After carefully assessing the current condition of the constructed features the DNV decommissioned remaining wood features on Air supply. These actions were taken due to the structural instability of the aged features. The NSMBA will be working with the District in the development of a new plan for an updated Air Supply for advanced riders. BOBSLED – Approval has been given for work to begin on Bobsled. The updated Bobsled will be a “new school” style trail with flow that is designated for Beginner and Intermediate riders. ROAD SIDE ATTRACTION – Soon Road side attraction will be closed, updated and signed as a Beginner Trail. BADEN POWELL – Work continues on the Baden Powell. A focus was made on addressing an appropriate line in the “Stairs of Despair” area. These changes were necessary to bring the difficulty level of that section in line with the trails that exit onto the Baden Powell. For Example; riders exiting pipeline can now ride out the Baden Powell on a trail of similar rated difficulty. The current relationship and co-operation between riders, the NSMBA and the District of North Vancouver has never been better. 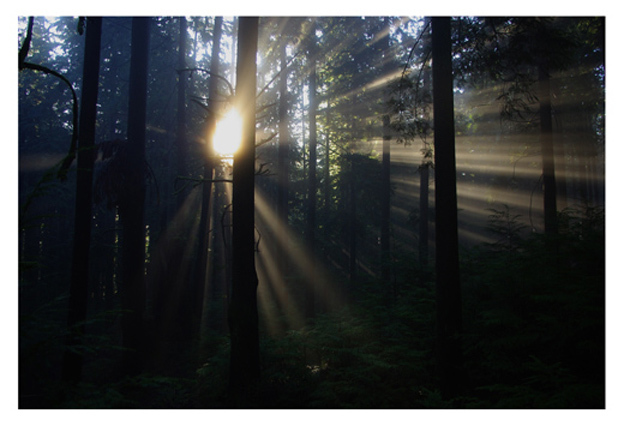 The NSMBA's continued direction on Fromme is "no net trail loss". Due to the current design of some trails and therefore, the related maintenance requirements, needs to be addressed. The work this summer by the DNV and NSMBA are the first steps towards an improved trail system with hopes to see the return of Fromme as a worldwide destination for mountain bikers of all abilities. We value your input! Please contact us and let us know what you would like to see on Fromme. Your continued support and involvement in the NSMBA will help shape the future of mountain bike trails on the North Shore. We ask that all riders be courteous and respect the signage that has been put in place across the mountain.